Hermonlaw | LAGOS STATE LAND USE CHARGE LAW 2018…A HOUSE BUILT UPON SAND. 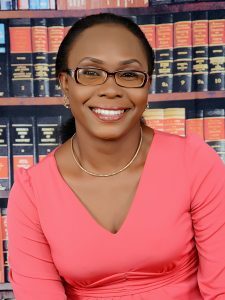 BY OLUWAFUNMILAYO IYANDA, ESQ. LAGOS STATE LAND USE CHARGE LAW 2018…A HOUSE BUILT UPON SAND. As part of its responsibility towards good governance, the Lagos State Government came up with an Executive Bill which on passage by the 8th Assembly of its House of Assembly was enacted as the Land Use Charge law (LUCL) 2018. The LUCL is a law to provide for the consolidation of property and land based charges and make provisions for the levying and collection of land use charges in Lagos State and for connected purposes. In undertaking the first leg of its purpose, to wit, to provide for the consolidation of property and land based charges, the LUCL 2018 in its interpretation section ascribes Land Use Charge to include ‘all Property and Land based Rates and Charges payable under the Land Rates law, the Neigbourhood Improvement Charge Law and Tenement Rates as may be computed on the basis of the Schedule to this Law’. In undertaking a consolidation of land based charges, one wonders on what authority the Lagos State Government through the instrumentality of its State House of Assembly could undertake the consolidation of its own internally enacted land charges – Land Rates law, the Neigbourhood Improvement Charge Law; along with one created by the Constitution – Tenement Rate! Under its legislative provisions, the Land Rates Law makes provisions for levying development charges, ground rents, premium and other incidentals on allocated land in Lagos State. The Neigbourhood Improvement Charge Law on the other hand provides for levying of improvement charges on private estates, developed or undeveloped property or land in Lagos State. The Tenement Rate on the other hand is a product of the Fourth Schedule of the Nigerian Constitution which in establishing local government councils in Section 7 states their main functions in the subject Schedule. According to the Fourth Schedule, local government councils are in (b) to collect rates, radio and television licences and at (j) undertake the assessment of privately owned houses or tenements for the purpose of levying such rates as may be prescribed by the House of Assembly of a State. The interpretation of the two provisions of the LUCL 2018 as highlighted above is to the effect that the State Government by an act of its legislature has suo moto altered the effect of a constitutionally guaranteed function! Recognising that the Nigerian Constitution is the grundnorm upon which operational foundation the country subsists, it leaves little to the imagination to wonder if the Lagos State House of Assembly or even the Attorney General of the State did not avert their respective cognition to Section 4(5) – limitation of the powers of the State House of Assembly, and/or Section 1(3) on the supremacy of the provisions of the Constitution. Knowing that the alteration of the provisions of the Constitution, which Section 2 (2) of the LUCL 2018 undertakes to do is not the acceptable way to effect such an alteration or modification to the said legislation (Constitution – Section 9); it’s a no brainer to say that the LUCL 2018 as currently constituted is a house built on a foundation of sand!.